From the roots of the ancient silk road to its modern-day revival, this itinerary takes students to the country’s four most important trade cities throughout the centuries: Beijing, Xi’an, Chengdu & Shanghai. This immersive look at China’s story of economic growth includes Q&A sessions with cutting edge companies, visits to manufacturer companies, as well as visiting amazing historical sights and enjoying outdoor activities, students will tour local companies and a factory and see the dynamism of the world’s fastest-growing economy first-hand. Our school trips are completely customizable and can be tailored to meet your requirements. Additional destinations are available for this theme including Hong Kong, Shenzhen, Guangzhou, Suzhou, Hangzhou and Tianjin. Speak to a specialist now to find out more. Arrive and transfer into the city and check in to accommodation. Students will go to a welcome dinner where we will have our trip briefing about what to expect during their time in China. Visit a tech/app company operating in China such as Toutiao, Lenovo or Mi, to observe first-hand how businesses work in one of the world’s fastest growing economies. Enjoy a tour of their offices and a lecture about the business in China, followed by a student-led Q&A session. After a busy morning, students will visit Tiananmen Square, the Forbidden City, and Jingshan Park for a panoramic view of no less than three World UNESCO heritage sites. Finish the day by trying different Chinese delicacies at the Wangfujing Night Market. Then, enjoy a Peking roast duck banquet. Visit Zhongguancun Mooc Time’s Building, an incubator which provides resources and space for small enterprises to grow. It’s a prominent hub for internet and web education and features many companies which apply high-tech methods to supplement traditional teaching practices. In the afternoon, we switch gears and participate in a Kungfu lesson. Afterwards, students will relax with some sightseeing at the Temple of Heaven where the emperor participated in religious rites. After the tour, students engage in a traditional tea ceremony. Visit a Chinese school/University, specially matched for their heavy focus on STEM subjects. Typically, students will take a school tour, join some lessons, eat lunch and participate in technology focused activities such as a Robotics program or another tech related course alongside Chinese students. Please note that your students will be expected to prepare gifts and a speech or performance for the welcome ceremony in advance. Visits are not available in July, August or over Chinese New Year. Then, we catch the night train to our next stop, the Ancient World’s trade capital and mother of the Silk Road, Xi’an. Arrive in Xi’an and drive outside the city towards the Terracotta Warriors. One the world’s most mysterious necropolises and a scientific marvel (just 1% of the whole complex has been excavated!). After checking into our accommodation, we go to Xi’an’s historic Muslim Quarter market with all its sights and sounds. This is where the traders from across the Silk Road first settled in China. Students will sample the unique flavours of Hui Muslim food before finishing the day with an evening stroll to see the Drum and Bell tower lit up at night. Travel to a children’s home outside the city (1 hour) to interact with the children and play some English learning games. We make a small donation on behalf of every student and teacher and any additional donations are welcome. In the afternoon, we go to a local museum for an authentic calligraphy lesson. Finally, we do the absolute must in Xian, the bike ride around the top of Xi’an’s ancient City Walls. They are China’s best-preserved city fortifications and an excellent way to compare and contrast the old historic city, with the soaring skyscrapers of modern Xian. 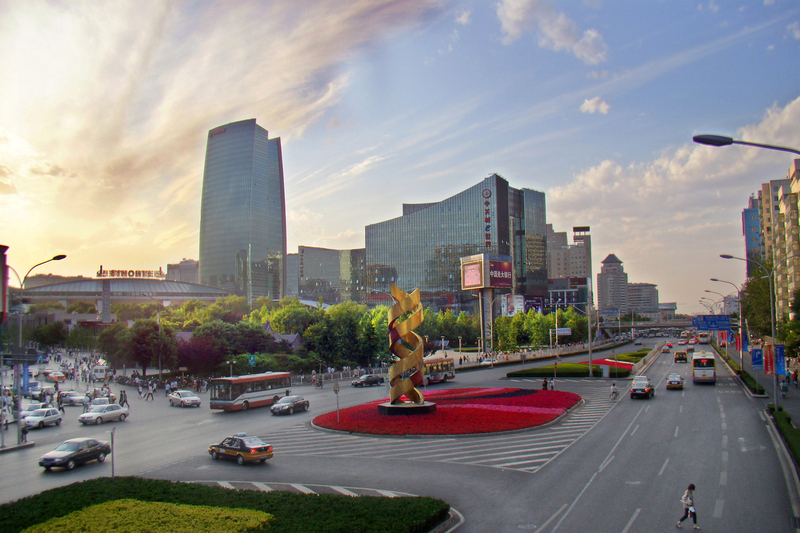 Board the fast train for western China’s main urban hub – Chengdu. In the morning we visit the Dujiangyan Irrigation site. It was created almost 3000 years ago and still functions today supplying water to cities such as Chengdu. Created in the days before gunpowder, the chief engineer Li Bing, was said to have used fire and water to remove gigantic rocks to create a new channel for the river. It was awarded the rank of UNESCO World Heritage Site due to it being an incredible feat of engineering. Then, we switch gears and hike Qingcheng mountain, taking a cable car part of the way for amazing views. Mount Qingcheng is amongst the most important centres of Taoism (Daoism) in China. Finally, for dinner we try Sichuan’s most renowned and traditional dish, hotpot. It’s a boiling, fragrant broth used for self-cooking an assortment of meats and vegetables. 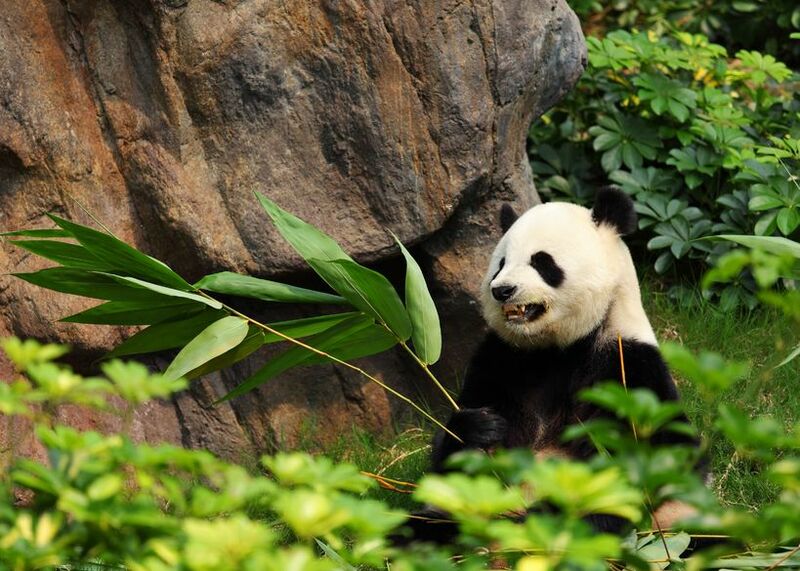 A comprehensive trip of China would not be complete without seeing its national animals – pandas! Students visit Chengdu’s Panda Breeding Research Centre to see China’s national animal and learn the successful conservation project that has brought them back from the brink of extinction (interested in a whole day of service work helping the Pandas? Let our specialist know). Later, we head to one of Chengdu’s busiest food and art districts, Jin li Street, to take in some ancient Chinese charm. Try The Learning Adventures (optional) Jinli street scavenger hunt. We finish the day by transferring to the airport to catch our flight to Shanghai. In the morning we go to Old Shanghai to visit the Yu Yuan Gardens and the nearby City God Temple Bazaar to see the local markets in action. For lunch, it’s Shanghai’s famous Xiao Long Bao dumplings. Next, we tour Shanghai’s dramatic financial districts, Lujiazui, and head to the top of the Financial Center. In the evening, our guides explain Shanghai’s trade history as we walk around The Bund (the former site of banks and trading houses of the UK, France, U.S., Italy, Russia, Germany, Japan, the Netherlands, and Belgium, as well as the consulates of Russia and Britain). We finish the day with an evening cruise on the Huangpu River alongside this historic district. Visit a Chinese water purification plant to observe first-hand how technology and engineering come together to supply clean water to the world’s most populated city. Enjoy a tour of the plant, offices and a lecture about the whole process followed by a student-led Q&A session. In the afternoon, students are taken to tour the factory and offices of Shanghai Volkswagen. We encourage groups to prepare questions in advance for the Q&A session with their staff following the tour. Shanghai Volkswagen is the oldest sino-foreign venture to date and sells millions of vehicles yearly. Finally, we close out the evening with China’s best circus act: the spectacular ERA acrobatic and theatrical performance.